UAE’s Federal Competitiveness and Statistics Authority (FCSA) has signed an agreement with the United Nations’ Sustainable Development Solutions Network (SDSN) to share knowledge and resources. Under the terms of the agreement, the FCSA will partner with SDSN – a body that operates under the auspices of the United Nations Secretary-General to mobilise global scientific and technological expertise for sustainable development–. The specifics of the memorandum of understanding (MoU) relate to SDSN’s research network on data and statistics ‘TReNDS’ and the organisations’ mutual objective of providing better-quality data to monitor sustainable development. The agreement was signed on the sidelines of the UN World Data Forum 2018, which was hosted by the FCSA at Madinat Jumeirah, Dubai from October 22-24. The second edition of the global summit aimed at exploring ways of improving the collection and analysis of statistics to meet the UN’s 17 Sustainable Development Goals (SDGs) under Agenda 2030. 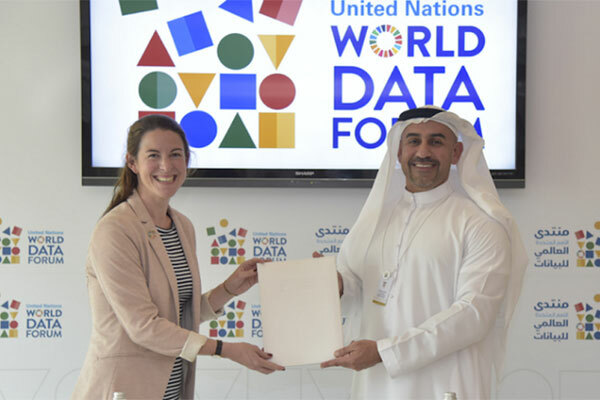 The signatories to the agreement were Abdullah Nasser Lootah, director general of the FCSA and chairman of the Organising Committee of the UN World Data Forum 2018, and Jessica Espey, senior adviser at SDSN. “Our new partnership with the Sustainable Development Solutions Network will see the UAE run SDG pilot initiatives when needed to support the network’s research, while the network will reciprocate by supporting the FCSA with capacity building when possible, participating in SDG-related events where feasible, and contributing to the UAE’s annual report on SDGs,” said Lootah.